This form is for submitting year-round events (like ghost tours, real haunted places and escape rooms) only. If you want to submit an event that only runs during the Halloween season (commercial haunted house, home haunt, yard display, etc), please use our Halloween Event Submission Form. Submitting your event to HauntedIllinois.com's Year-Round Event Directory is free. Please read the following information, before filling out the submission form. Haunted Illinois only lists events that are located in Illinois. Do not submit all or part of your listing in "CAPITAL LETTERS". Your listing may be rejected if you do. Leave "non applicable" areas of the form blank (do not fill in with N/A, none, etc). All event submissions will be reviewed and, if accepted, posted within two (2) weeks. Haunted Illinois reserves the right to accept or reject events at its discretion. Duplicate event submissions will be ignored. If your event is already in the directory and you would like to make a change, please refer to the instructions in the "Editing Your Event" section below. The number of listing changes may be limited, at the discretion of the Webmaster. To make changes to an existing listing, DO NOT use this submission form. 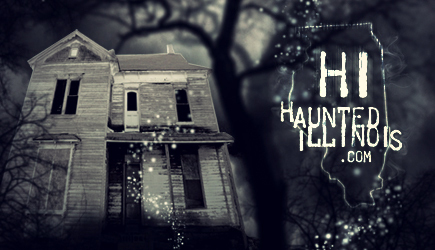 Send all changes to info@hauntedillinois.com. Please include the event name and city in the body of the email. All Information Entered Below will be displayed in your listing. The information you provide in this form will be posted online, as-is. PLEASE verify and double-check all information before submitting it. Since HauntedIllinois.com is giving your event valuable advertising/web exposure FREE of charge, we request that you place a link to HauntedIllinois.com in a prominent place on your website, and/or include our web address in your print literature and advertisements. These Terms and Conditions are subject to change, as needed. Checking the box to the left confirms your acceptance of these Terms and Conditions. Please click the "Submit" button only once after you have entered your event information. It may take several seconds to process your event submission. If you encounter any problems, CLICK HERE to send an email to the webmaster.